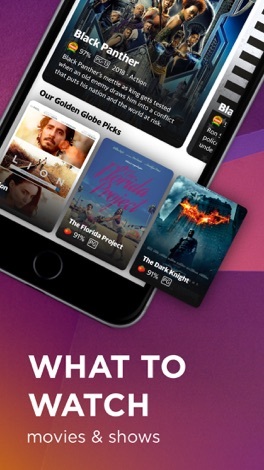 Launch of a new “What to Watch” enhanced search feature that highlights new, popular and interesting movies from across major streaming services. Plus, new shortcuts to your favorite searches from the home screen. We also have bug fixes and performance improvements. Yahoo Search helps you find the information you need while on-the-go and get fast answers to help navigate your life. Explore “What to Watch” for your next movie night and discover our editors’ top picks across Netflix, Hulu and Amazon Prime. Get quick access to the latest sports scores, breaking news and what’s Trending Now. Find local restaurants, coffee shops and services around you with a moveable map showing nearby results. Search using your voice for quick access to what you need. Discover a better way to find answers with the Yahoo Search App. - NEW! What to Watch - Discover a curated list of movies picked by our editors across Netflix, Hulu and Amazon Prime, as well as guides to seasonal favorites for your next movie night. 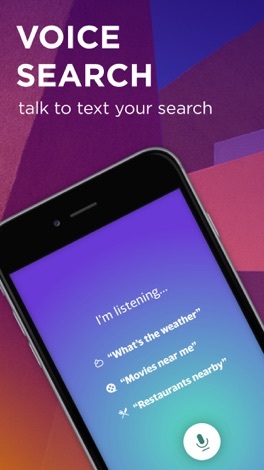 - Voice-to-text search - Use your voice to search quickly for answers while on-the-go. - Trending Now - Discover the most popular breaking news and searches from around the Web on your start screen. 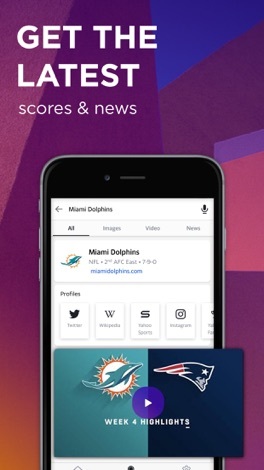 - Sports - Get the latest scores, game schedules, stats, breaking news, videos and more on your favorite teams. - Local - Discover local restaurants, coffee shops and gas stations around you. Tap the map to browse nearby locations. - Movies - Watch trailers, read reviews and find showtimes near you. - Finance - Search for the latest news on the markets and keep on top of your stocks. - You’re in control - Clear your search history, activate safe search for your kids and manage your user settings. - Search Assistance - Get instant suggestions as you type to find information faster. - New design - Discover a sleek new swipeable experience that allows you to navigate between search results seamlessly. - Discover more - Get the best sports, finance, news and celebrity information from across Yahoo, TechCrunch, Engadget, HuffPost and AOL. 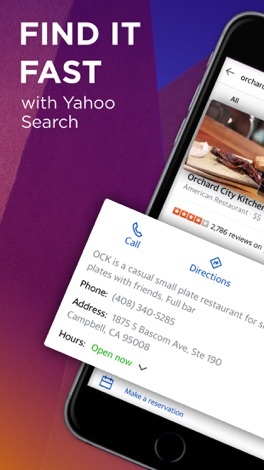 Search, discover and share with Yahoo Search in iMessage. Find and share local listings and websites over iMessage without ever leaving your conversation. - Explore together. Find and share local restaurants, gas stations and coffee shops. - Never forget your umbrella. Discover and share your local weather forecast. - Share new sites. Send links to websites as part of your search results. - Discover movies. 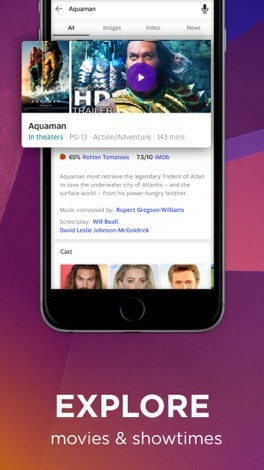 Check out the latest movies and share details with friends. *NOTE: Non-US users will see a slightly different experience based on your language. iMessage integration is not available, but coming soon!